If you have alloy wheels installed on your car, it is imperative to understand the most common issues with them. With accurate diagnosis for your rims, it become easier to decide whether you need professionals to step in and provide you with alloy wheel repair services. Since alloy wheels are lighter than steel and come with low profile tyres, they are more prone to bending and developing cracks. In worst cases, alloy wheel repair cost becomes expensive as car suspension may also get damaged because alloy wheels provide minimal to no cushion when driving on bumps and potholes. Due to the lower tyre profile, alloy wheels are more likely to suffer corrosion and pitting caused by regular exposure to road salt, moisture, and routine cleaning that strips away the clear coat finish. Mag wheels made from alloy are also prone to discolouration. This problem is primarily caused by brake dust or general negligence. Steel wheels are traditionally covered with plastic wheel covers that act as barriers against mild to moderate physical damage. On the other hand, alloy wheels do not have a protective covering which makes them more exposed to physical damage such as scraping or road rash. Corrosion is more of an aesthetic issue in rims. This problem usually develops when tyres suffer from a slow leak. 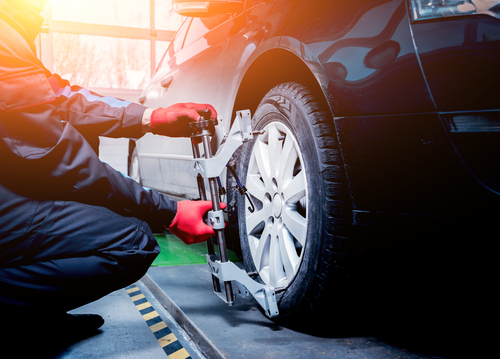 In this case, the alloy wheels are unable to attach or seal properly on the hub which may then result in worn tyres and wheel alignment problems. To solve all these problems, it’s always best to enlist the services of a professional who specialises in mag wheel repairs. Click here to check out the rim repair services that we offer. To schedule an appointment for checkup of your rims, call us on 0421 136 101 today.